Welcome to Cinder Butte Meat Co.! NOW SOMETHING NEW! OUR MERCANTILE STORE IS OPEN! Cinder Butte Meat Company brings you a whole new experience in their ever growing business, "The Mercantile" Buy fresh from your butcher! Bob and Lori Mehan say 'thank you Central Oregon' for making their six years ownership of Cinder Butte Meat Co. a wonderful success! Bob and Lori and crew have built Cinder Butte Meat Co . around customer service. We believe every customer is truly VIP. Forging through this year of 2019 we are excited for the growth and opportunities to support local farmers, ranchers, and businesses, and retail shoppers. We are also very involved in 4-H and FFA. Our desire is to offer the cleanest and best handling of your meat from the butcher, through custom processing, and back into your hands. 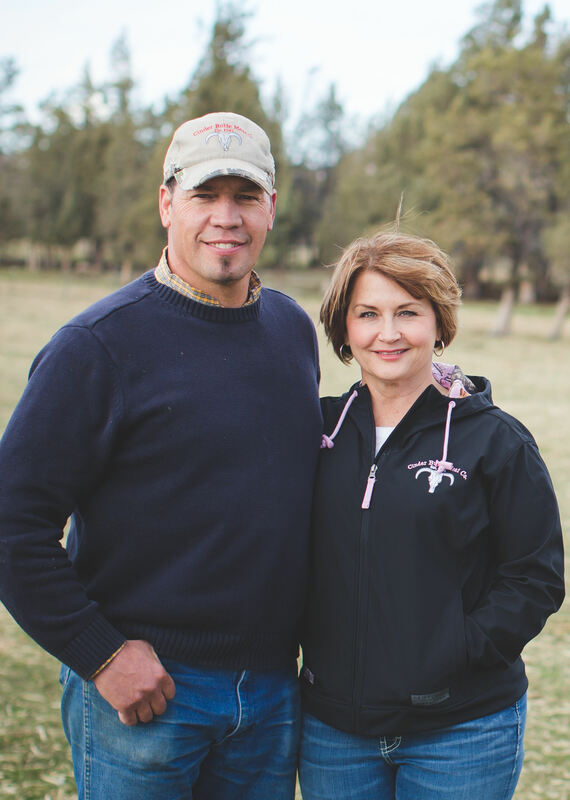 Bob and Lori's background is ranching having raised two boys. 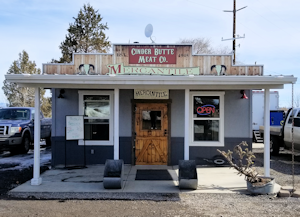 Cinder Butte Meat Co. offers fresh USDA Choice cuts of meat from our retail counter, custom cutting/wrapping done to your desire, full service game processing, on-site kill floor, mobile kill service and Central Oregon's finest smoked meats. 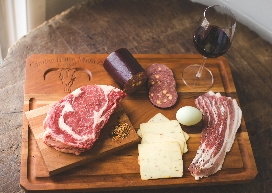 We're excited to offer local Eberhard's Cheese's cold smoked in our smokehouse. Our Jerky is famous! Bob and Lori invite you to stop by and get acquainted. It is very important to them that customers be assured the proper handling of their meat will be the very best possible. SOMETHING NEW! We have remodeled the small building as you come in our driveway making it into our Meat Market. Same great meats and Smokehouse--just more convenient for our wonderful customers.